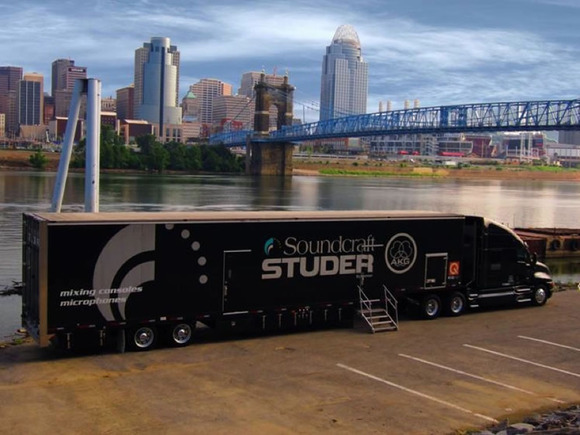 NORTHRIDGE, California — After a successful first week of educational sessions and product demonstrations, HARMAN’s Studer Broadcast Academy continues with dates this week in the New York and Washington D.C. areas. The SBA truck will be at the Meadowlands in East Rutherford, New Jersey on Monday, July 18 through Wednesday, July 20, and at Communications Engineering in Washington D.C. on Thursday, July 21 and Friday, July 22. Last week included SBA dates in Cincinnati, Columbus, Pittsburgh and Philadelphia. The Broadcast Academy sessions include hands-on training for Studer’s Vista consoles as part of broadcast certification modules that will provide engineers with proof of efficiency with the Vista line. In addition, the Open House sessions offer product demonstrations, with no requirement to pursue certification. More information on the Studer Broadcast Academy can be found at usa.studer.ch, with detailed information of what to expect in each module.